This week at Hand Stamped Sentiments we are introducing new design team members. We’re thrilled to have Diane Vander Galien, Erika Clark, Elizabeth Price and Bobbie Trost join us. Hop on over to HSS and see their wonderful projects as well as the rest of the design team’s projects. For this week’s challenge it’s all about mom. Create any paper craft project – card, 3d project, scrap book page. For my project I created an easel card using the Label Framelits. Love, Love, Love this die set. 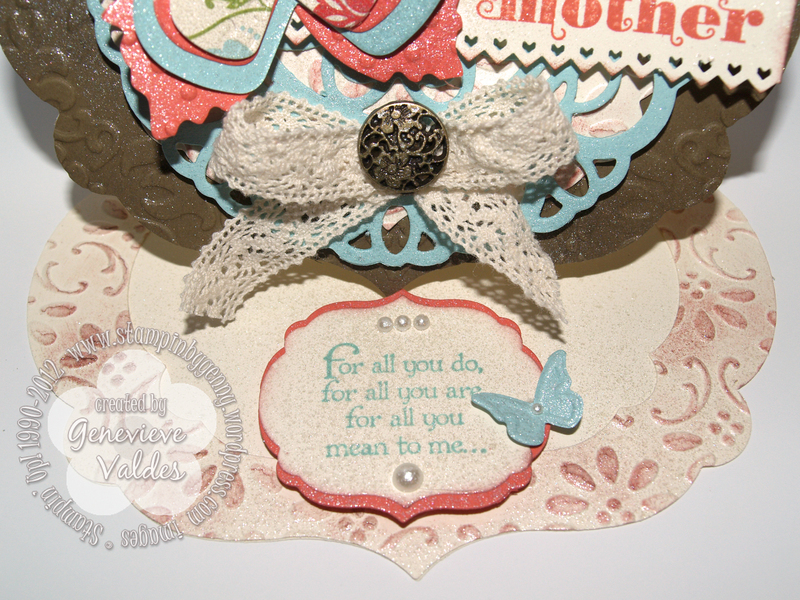 I also used the Doily Die, Beautiful Butterflies die and the Beautiful Wings Embosslit. For some extra sparkle I smooched my card with Vanilla Shimmer Smooch. So pretty! Here’s a close-up of the sentiment. 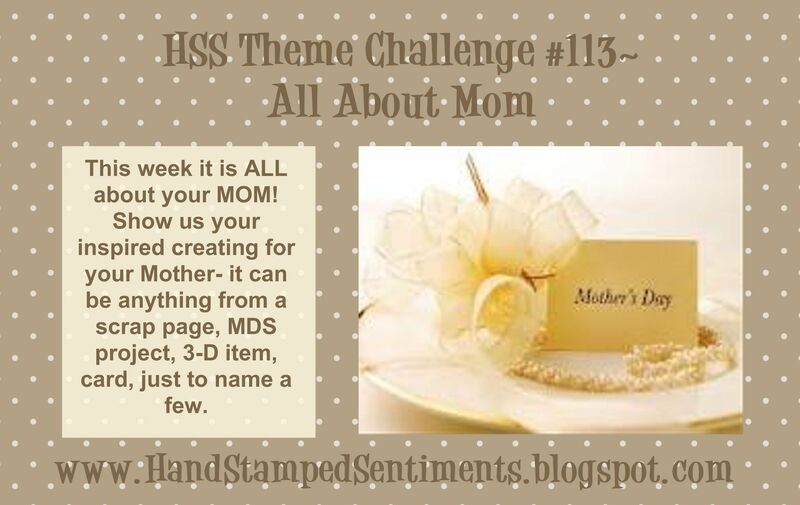 I hope you join us at HSS for this week’s challenge. Now, THAT is a wonderful tribute to a mother! I love the butterflies, the glitz, the embossing, it is a rock star of a card! Very pretty! Love your colors and all the lacey elements. Thanks for the nice Welcome!!! I’m very Excited to join in with the Talented Design Team!!! Your Card is Beautiful!!! I love all the texture and accents!! Love the easel with the framelit dies!!! Very pretty color combo and love the added smooch!! Oh my Genny, you add the most amazing details to your cards! You have the patience of a saint! The colour combo is GORGEOUS!